The Rescuers & Others Lot (Buena Vista, 1977). One Sheets (4) (27" X 41"). Animation. Starring the voices of Bob Newhart, Eva Gabor, Geraldine Page, Joe Flynn, Jeanette Nolan, Pat Buttram, Jim Jordan, Bernard Fox, Dub Taylor, John McIntire, and Michelle Stacy. Directed by Don Bluth, John Lounsbery, Wolfgang Reitherman, Art Stevens. A Walt Disney Production. Included in this lot are folded one sheet posters from The Jungle Book (Buena Vista, R-1978), The Best of Walt Disney's True Life Adventure (Buena Vista, 1975), and No Deposit, No Return (Buena Vista, 1976). 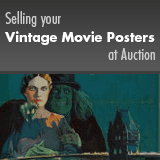 Unrestored posters that display signs of use. May include slight edge and fold wear, creases, tears, pinholes, smudges, and unobtrusive stains. The Jungle Book has some minor paper loss in the lower right border area. Please see full-color, enlargeable image below for more details. Folded, Fine/Very Fine.